Well well well. 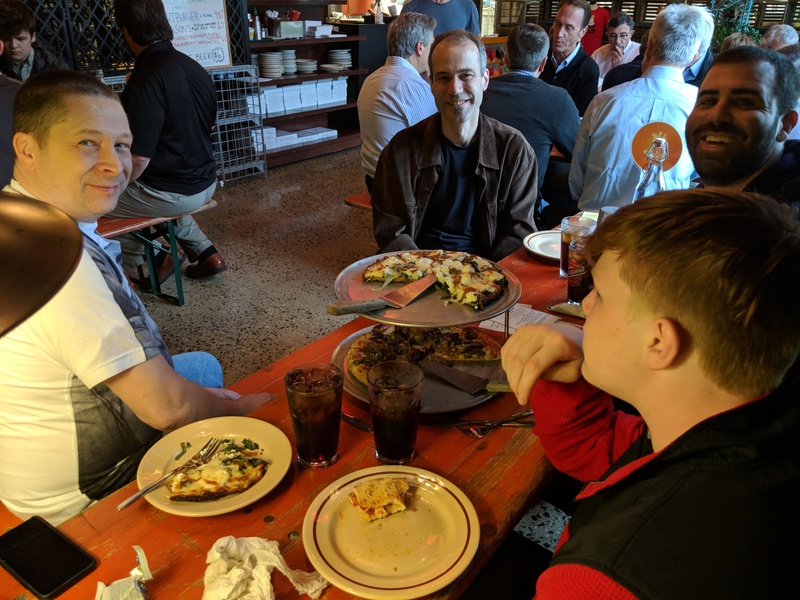 The 8th Anniversary of the first-ever cryptocurrency purchase (10,000 Bitcoins for 2 Papa John’s pizzas in Jacksonville, Florida), and digital cash enthusiasts everywhere are celebrating by gathering to eat pizza and and spread their favorite money. Portsmouth, New Hampshire (aka “Bitcoin Village“) was no exception! Hometown favorite restaurant STREET’Za made it happen for us. They have been taking Bitcoin and a handful of other cryptocurrencies since they opened in 2017. 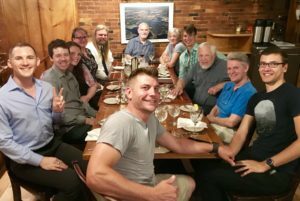 Their sister restaurant STREET led the way for Portsmouth and the entire Seacoast region by being the first in town to accept the new currency. Their adventurism has paid off big-time, regularly drawing in new business from cryptocurrency lovers from out of town and even out of state. 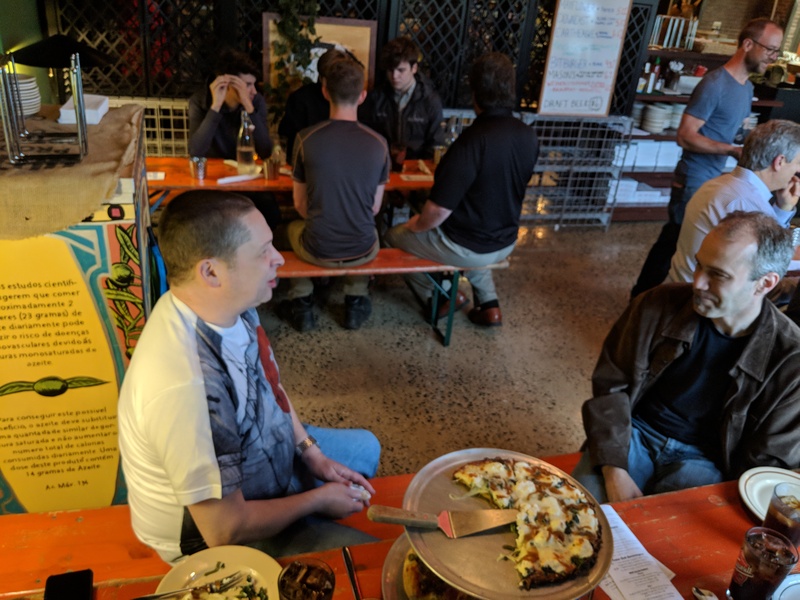 Even though the Boston Bitcoin Cash Meetup group just had an event there Saturday, a guy in Portland reached out to me and said the Portsmouth Bitcoin Network should have a meetup of its own on the official Bitcoin Pizza Day (May 22). We did, and it was excellent. Only 4 people RSVP’d to the event, but you never can tell with these things. Eleven people showed up! 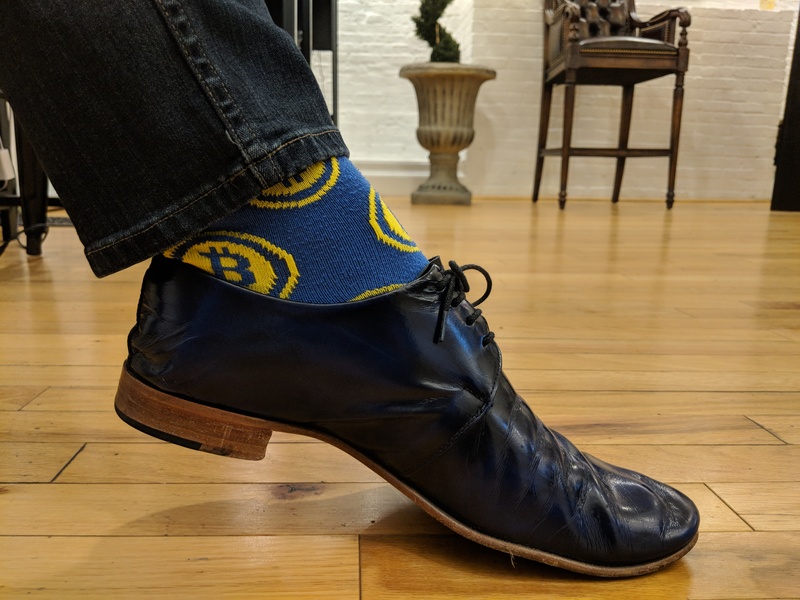 One attendee works for Coinbase in New York City. He received some playful ribbing. 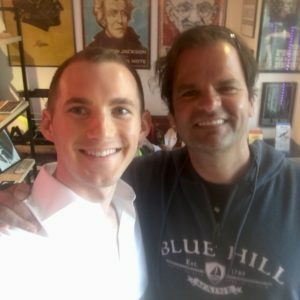 Another has a business setting up merchants to take cryptocurrency. A few asked for his card. One was finance professor at a local university researching ICOs. He asked about classes at the Blockchain Institute of Technology. Three were students home for the summer. They installed their first hot wallets on their phones and loaded them with some coins. 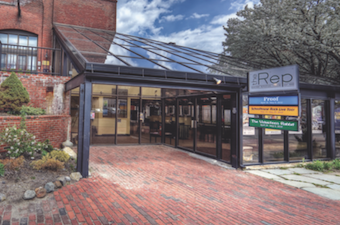 Attendee ages ranged from 16 to 55, with the average probably around 30. 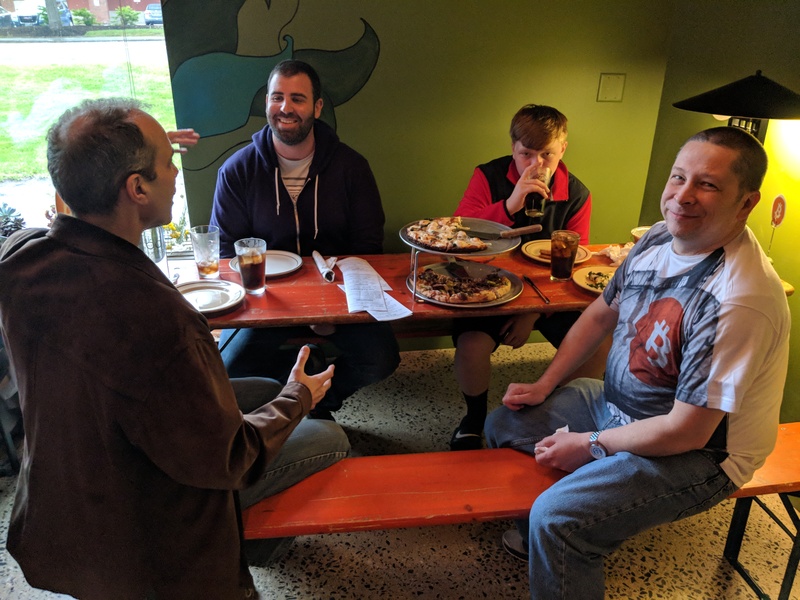 The Boston Bitcoin Meetup the previous Saturday drew in 4 people total, one from Haverhill and one from Portland. The best part? Everyone used cryptocurrency to pay. Without exception. 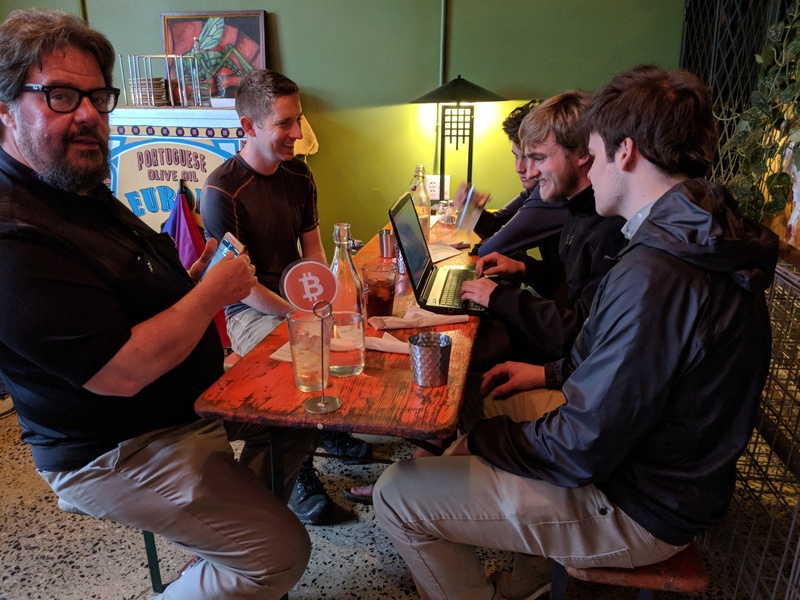 Some friendly nudging was offered when all but 2 attendees paid with Dash instead of Bitcoin. Rightly, these people were ridiculed. 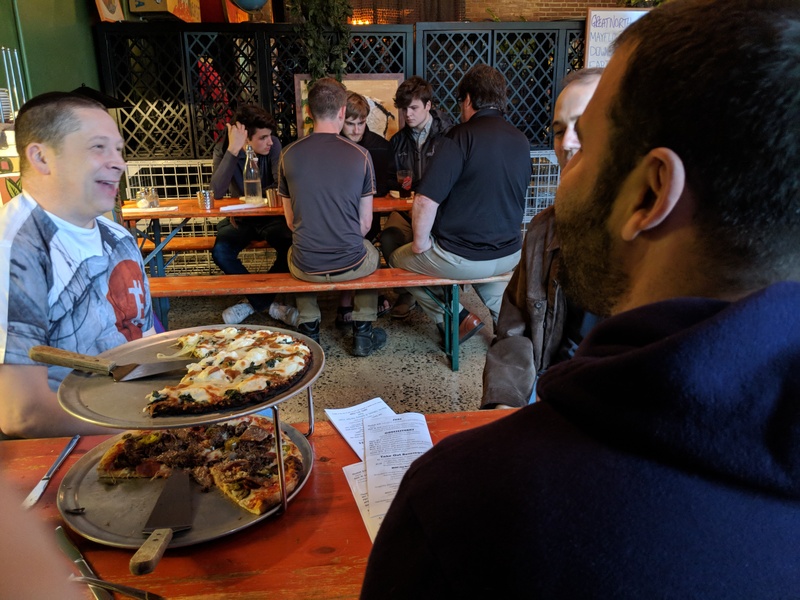 After all, we were there for Bitcoin Pizza Day. But then again, Dash has benefits over Bitcoin that make it more attractive for customers. First, transaction fees are lower. Much lower. Like 20 times lower. Those who paid with Bitcoin paid an extra twenty cents in fees on top of their payment compared with Dash’s fee of less than one cent. Not really a big deal, but then get this: Dash-Back. 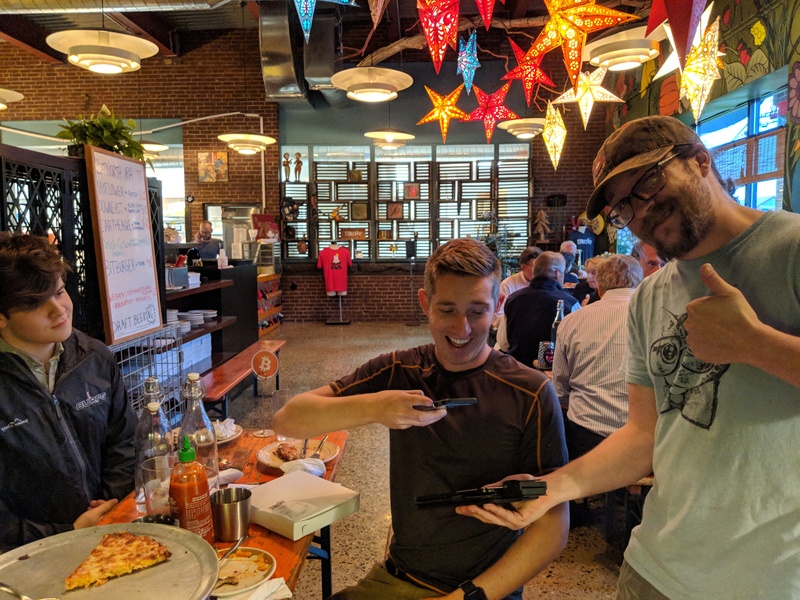 Because STREET’Za accepts their crypto using the Anypay digital cash register, their customers receive an instant rebate when they pay with Dash. In my case, I paid $12.50 for some chicken wings and received a dollar of Dash right back into my wallet. Not bad. 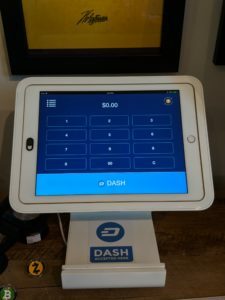 All things being equal, when faced with the choice between two cryptocurrencies, using Dash makes a lot of sense if the merchant is using Anypay. Why not use the coin that pays you to use it instead of the one that you have to pay extra to use? Here are some shots of folks enjoying and paying for their meals. Oh yeah, I almost forgot. 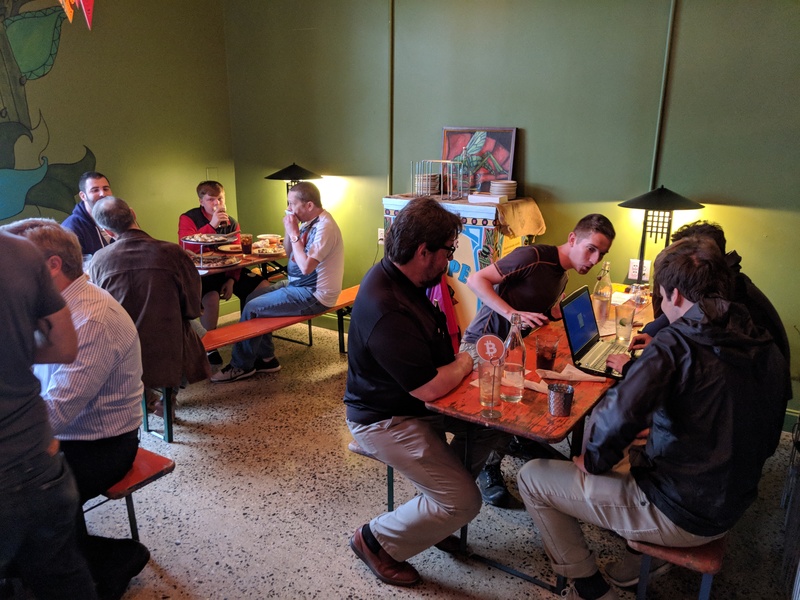 Many of the attendees asked if they could pay the server’s tip with their crypto. The manager said yes and took the tips on his phone with the promise to pass them along to our server after setting her up with her own wallets, or paying her out in cash (whatever her preference). In the past, this has been a great way to introduce new people to crypto. They know it has real value because they can see it being used to buy things where they work. 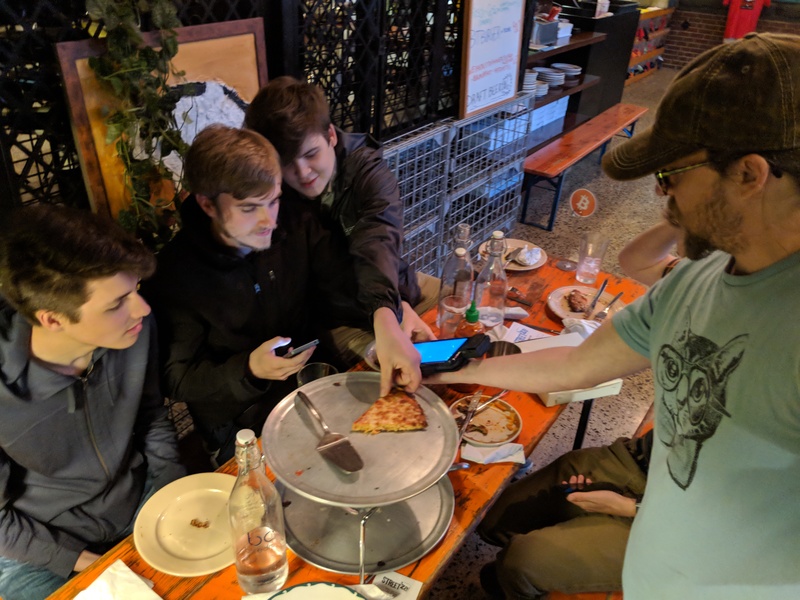 So…How was Bitcoin Pizza Day in your town? 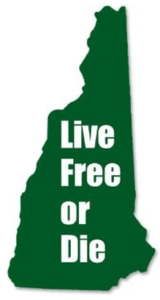 If it was uninspiring, consider moving to New Hampshire, the Crypto Capital of the World! Spend Dash, get Dash back!